Mindfulness, adopted by numerous spiritual and secular traditions alike, seem to rely on a common basic principle…. that creating a space for the heart and mind to slow with the intention to simply notice was is, induces a greater sense of peace. Of course in psychology and other science-based approaches focus primarily on brain function and physiological responses to slowing (and sometimes stilling) the mind, which have demonstrated significant results in favour of practicing mindfulness and meditation on a regular basis. Much older than science, are the spiritual traditions which have centered much of their practice around stilling the mind, but with a different goal… to attain realization of the true Self. Viksepa - tossing and restless nature of the mind, moves outiside itself towards objects thinking there is happiness out there, projecting, inner chatter, mind is constantly manifesting. This impurity can be overcome by pranayama, concentration, devotion and chanting. Avarana - ignorance (lack of knowledge and wrong knowledge), the veiling power of the mind, most subtle, hides the reality of the Self, produces body consciousness, and suffering. Meditation and right inquiry into ‘Who am I?’ remove this veiling power and allow the Self to be experienced. It is taught that each veil must be purified in order, from the grossest to the most subtle. Only when the first two are removed can ignorance be removed and realization of the Self made possible. A dinner conversation that we had with our friends Sara and Rachael spoke to the guiding function of Ultimate Reality win a very down-to-earth way. Recounting some of the startling synchronicities that had occurred during the past year that had deepened her spiritual journey, Rachael told us, “God leaves bread crumbs to show us the way back home.” In other words, we can count on a beneficent force. Perhaps the reason for our ignorance is that there’s a second variable in the equation of spiritual growth: surrender to and cooperation with the forces of guidance. Surrender and cooperation aren’t always easy. They entail letting go of our own agenda and waiting patiently for the path to open step-by-step. Releasing ourselves into the unknown can be scary. Most of us would rather chart our own course if for no other reason than that it helps manage fear. But letting go of the steering wheel and trusting in a greater compassionate intelligence not only has the potential to be anxiety producing; it’s also paradoxical. On the one hand, surrendering to guidance involves the bone-deep realization that we’re helpless-no matter how hard we try to control things, we’re ultimately not the sole author of our experience. On the other hand, in some mysterious way entirely beyond the capacity of words or rational thought to convey, we’re one with the author of all experience. The realization of that oneness is at the heart of the spiritual journey and our ability to trust that a wisdom greater than our own is helping us evolve. First, as the journey begins, there’s a compelling experience of a Mysterious Other. Second, as we progress along the way, there’s an effort to come into union with that Mysterious Other. Third, at the point of realization, we understand that there never was an Other. 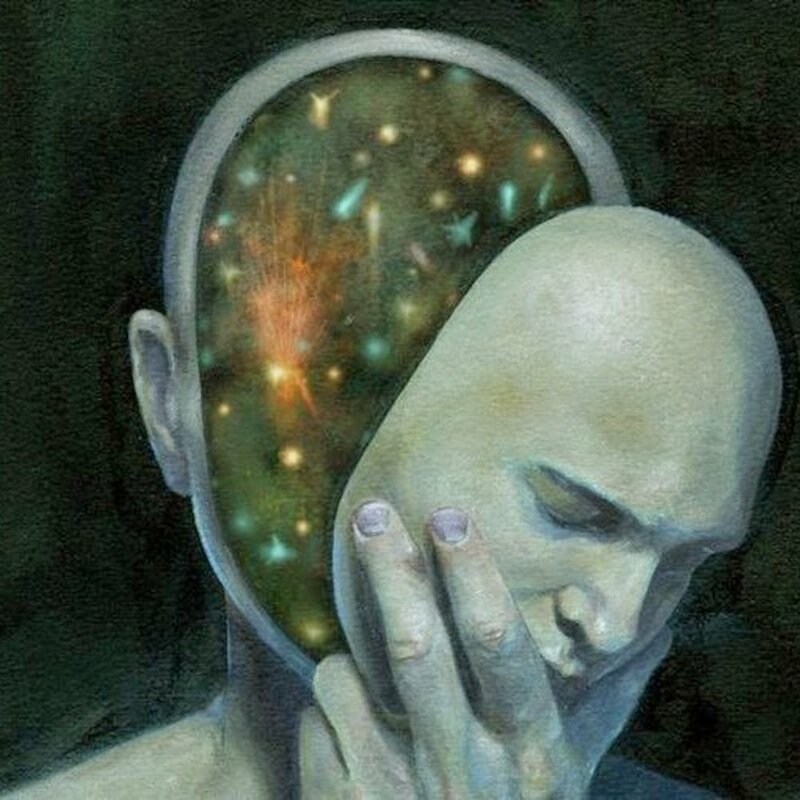 Our own true Self-the answer to the question Who am I?- is the individualized expression of Ultimate Reality. If this sounds abstract, confusing, or heretical to you, you’re in good company. From the beginning of time, people have struggles to find words for what can’t be said but may only be realized in the laboratory of the heart. Consciousness - the state of being aware of and witnessing all of oneself in all things. All your atoms are essentially empty space. You are a black hole, and black holes lie in each and every one of your cells. You are rotating fields of energy housing emptiness. Nothing here, nothing here, nothing there. This empty space is potentially infinite, and it is what you are. Infinite spaciousness. Eternal rest. No identity to support, no security to fall back on. Neither this, nor that. Not this way, not that way. What is eternal? It is not this, or that, as both are temporary, transient, fleeting moments in time and space. What is there to hold on to? What can give you support? What is this you that needs all these things? In the void of pure consciousness, gone is all you have ever realized, achieved, and hoped for. Gone is shadow, gone is family, gone is clinging. Gone is lower self, gone is higher self, gone are guides. Gone is mind, gone is body, gone is my location, gone is my orientation, gone is my position in life. Gone are all things that define you. Gone is right and wrong, gone are all needs and meanings, gone are all layers and vanity, gone is death and fear. In the void of pure consciousness one’s idea of soul and different layers of body dissolve and are are surrendered. One’s essence, so valued and treasured, used as the reference point for your movements and aspirations in life, is left behind, burnt in the fire of nothing. One’s position and ways of mapping out one’s position in life go. Gone is the fear of death in all its forms, and gone is the need to ascribe meaning to any and all occurences in creation. There is no emotion. It is what it is. Your life, past and present, has nothing to it. There is no sense of achievement. Instead there is just light, clarity, and love. There is no judgement of anything. One moves beyond the rules and laws of creation and therefore masters them completely. Expressing nothing from nothing means there is nothing to hold on to, no belief, path, or teaching to give or for others to follow and create another series of beliefs, dogmas, or heros out of. You are the hero, and this is your journey, a journey that ends when all is gone, on all levels, in all situations. As the layers of self dissolve, as the veils of thought and emotion dissolve in the fire of nothing, one is left with nowhere to go, nothing to be, nothing to grasp at, nothing to fill. With no I, all conflict ceases, and we act in the underlying current of reality, which knows what to do and when to do it. All is surrendered and the soul self finishes its journey, a journey that begins and ends. Pure consciousness never began and never will end. If you need someone or something to validate who you are, then you and the other are both creating a consensual image that has no reality. Returning to the source and origin of everything allows us to know who we really are and what everything is. Naked truth arises. You are part of it all; it is part of you. It is not a static space, but a potent, whole emptiness teeming with infinite possibilities. It is not pure as it is not impure, as there is nothing within it to change, wither, die, or mutate. It cannot increase or decrease; it is always ever same. All a human can do is continually relax all that is not this within him or her. There is no judgement, right or wrong, in emptiness, nothing to measure a self against another self. There is no comparison, no contrast, nothing to get. It goes nowhere and comes from nowhere. What always is here is always here: it is just all the thoughts, needs and sense of self that obscure the underlying reality of what never changes and what has never been created. What has been created always changes and dies. What has never been created cannot go anywhere or cease to be. What is your relationship with the spiritual/creator dimension, or that which is greater than your individual self? Do you believe this spiritual energy to be benevolent and loving? In what ways has this energy become visible to you in your life? What does this energy feel like to you? Are you surrendered to this energy? Why or why not? This week we are aiming for a sitting practice of 30 minutes per day. If sitting for 25 minutes per day was manageable last week, go ahead and try increasing the length of your practice to 30. If 25 minutes was challenging, or you’ve been working with a length of time that is working for you, stick with this length, or simply add one minute to whatever your current practice time is, for the next week. Again, In this recording I guide you into the practice, setting you up with a good seated position, breathing and focus. Silence. And at the end of 20 minutes I bring you back out of the practice with three OMs. * adding pattern... using stencils or brushes in the shape that you are trying to make. Remember to use square brushes to make square things and round brushes for round things. * considering your background... what is the environment my being is in? does it want imagery added? would it benefit from being simplified? * adding shadows.... using any dark colour and a small or medium hog hair brush, tend the entire painting with shadow. Consider what is in front of what, and add dark dry paint on the side of the line where the image goes back, which makes the image in front pop off of the shadow. In less obvious places, don't worry to much about what should be in front of what... there is no right way... you get to make the call. Also take a moment to consider deepening some of the darks in your painting to develop contrast even further. * adding light sources.... considering if there is a light source in your painting or if it is generally front lit, add a paint colour that is even lighter then the lightest light you've used so far to bring parts of your image even further forward. * you will know when you have achieved good contrast when you can squint your eyes at your painting and really see that there are distinct darks and lights. If it all looks like it blends together, consider getting even a little more brave with the lights and darks.